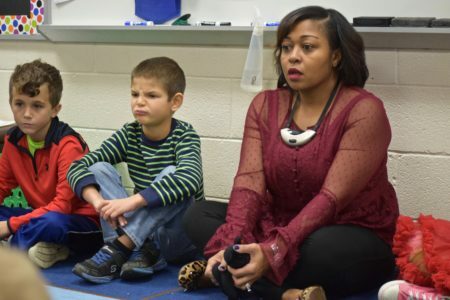 Natasha Stewart teaches third grade at Logan Elementary School. 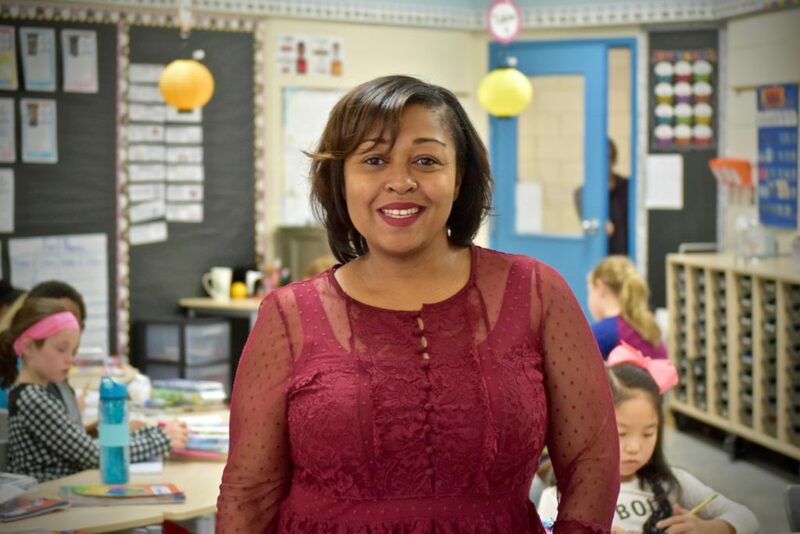 This is her twelfth year of teaching, six of which have been with Ann Arbor Public Schools. She has taught grades first through fifth. 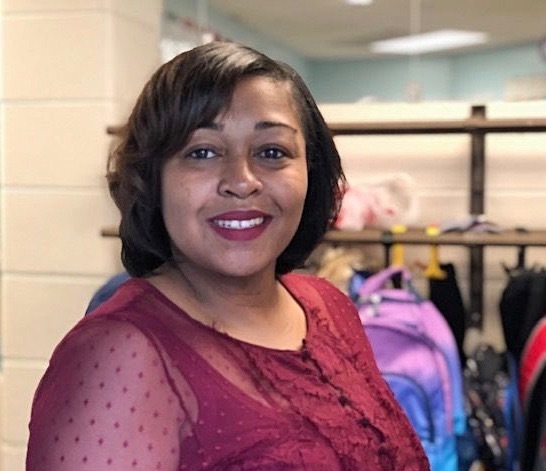 Stewart has served on several AAPS leadership teams, including Mathematics Curriculum and Instruction Specialists, the AAEA Minority Affairs Committee, and the Report Card Redesign Committee. She also worked at the state level to create professional development modules for the Essential Instructional Practices in Early Literacy, Grades K to 3 and Essential 2. Stewart earned a bachelor’s degree in elementary education and a master’s degree as a reading specialist from Eastern Michigan University. She will further her education in the spring when she begins her work toward an Educational Leadership degree. She lives in Ypsilanti Township with her husband Terron, daughter Naiya and son Terron Jr., better known as TJ. TJ attends Clague Middle School, so Stewart is an AAPS parent as well as a teacher. She enjoys baking, spending time with family, and shopping. What inspired you to become a teacher? As a young girl, I always dreamed of going to Law School. My dream changed when my younger sister, Tomika began to struggle with reading at a young age. It became my passion to help her overcome some of the obstacles she was facing. What’s your favorite subject to teach, and why? Science is my favorite subject to teach because all students can be successful. I love to watch students light up as they discover something new or interesting. What advice would you give to a first-year teacher? It is okay for a lesson not to go as planned. Reflect on it, make changes and don’t stress over it. Also, find a support system within your school building and school community. Never be afraid to ask for help. What’s the happiest part of your day? When the first bell rings and I greet my students at the door with a high five, fist bump or a hug as they walk in. How do you keep students engaged? Just like a good book, I hook them from the beginning. I bring lots of energy, real-world connections and most importantly, I create an environment where it is OK to make mistakes. · Provide professional development designed by teachers, for teachers. · Professional Development provided at a much lower cost than the district could. · Help keep all AAPS probationary teachers compliant with state and district PD hour requirements. · Recruit and hire new teachers by taking part in the AAPS interview process as well as attending job fairs. How do you show school spirit? I enjoy attending school activities. You will usually find me on the dance floor learning the newest dance, encouraging shy students to join the dance party or co-hosting the school talent show. I also co-chair our school’s student council, so I literally help plan Logan’s Spirit Weeks. What is the most rewarding part of teaching? That every day is different and exciting, there isn’t room to get bored. Each day you have another opportunity to build self-esteem, celebrate accomplishments, and laugh all day! What do you wish everyone realized about the work of a teacher? That the work of a teacher doesn’t stop when the bell rings. Teachers spend a lot of time outside of school preparing to inspire young minds. Teaching isn’t a job, it’s a calling and all career paths start with a teacher. What is unique about working at Logan? Although we are an extremely diverse school, we do an amazing job of coming together as one voice to meet the needs of our students. Our PTSO, parents, and staff make Logan a wonderful place to work and learn. Logan is one big family! This is my Oldest Daughter so proud of her. Love the woman she has become.At a early age I knew she would make me proud.a great mother wife Daughter Christian. Congratulations Natasha, a well deserved recognition! Thank you for all your hard work with our precious children!!! Congrats Tasha! I am so proud to call you friend! Congratulations. Thanks for all you do for the children in school and beyond. Well deserved. Congratulations! We need many more educators like you! Thank God for you as a role model for the children! Thank you for all that you do! Congratulations! Natasha, I am so proud of you and all your goals you have accomplish. Hey pooh all of us wish you well and your continued endeavors. Needless to say your accomplishments speak for themselves continue your God-fearing work and know that we love you always. Already in the short time my daughter has spent in your class, I can tell you have earned this recognition. I am thankful she gets to spend this year learning from you. About what you said in the interview, I have heard my daughter tell her little brother “mistakes mean you are trying” on multiple occasions. Thank you and keep up the great work! Congratulations. Teaching is a great profession. The greatest reward is the success of your student and knowing that you gave it your best. You have a great mother who also does her best at everything she does. Please continue to do whatever you can to raise the standards of the profession and student learning. Continue to make us all proud.